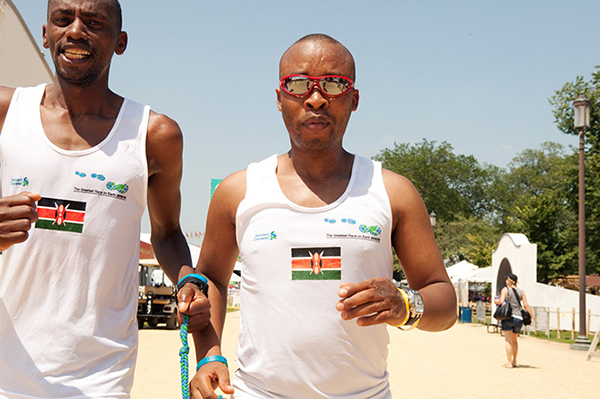 NPR has a wonderful story of childhood friends, Henry Wanyoike and Joseph Kibunja who started running together as children 30 years ago and are still running in competition today. That is a remarkable story enough, but even more compelling is that Wanyoike is blind from a stroke that cost him his sight and Kibunja is his running guide. It is a wonderful story and well worth the read. While there, also be sure to stop by the Henry Wanyoike Foundation website, designed to help bring young people together through sport.